If you are a bride you are on Pinterest. 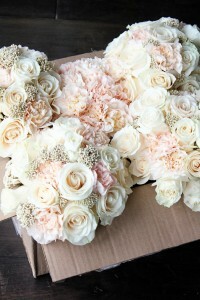 And if you are a bride on Pinterest you have likely seen this pin. It seems to pop up over and over again (at least on my feed – but we all know I’m looking at flowers a little more than the average pinner). The original reference comes from Floret Cadet here. Well, my sweet client, Sarah, loved this inspiration but wanted to add even more warmth and color and feature baby’s breath, one of her favorite flowers. We added peach hypericum berries to complete the fall look and chose an ivory rose with even more warmth and almost a peachy undertone, to make this bouquet her own. 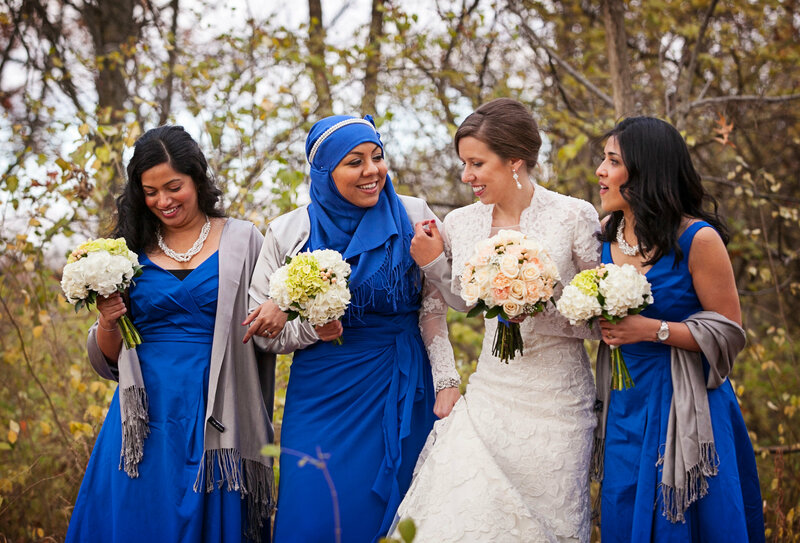 The bridesmaids wore a bold sapphire and their bouquets were comprised of white and green hydrangea and a touch of hypericum for a hint of the peach. 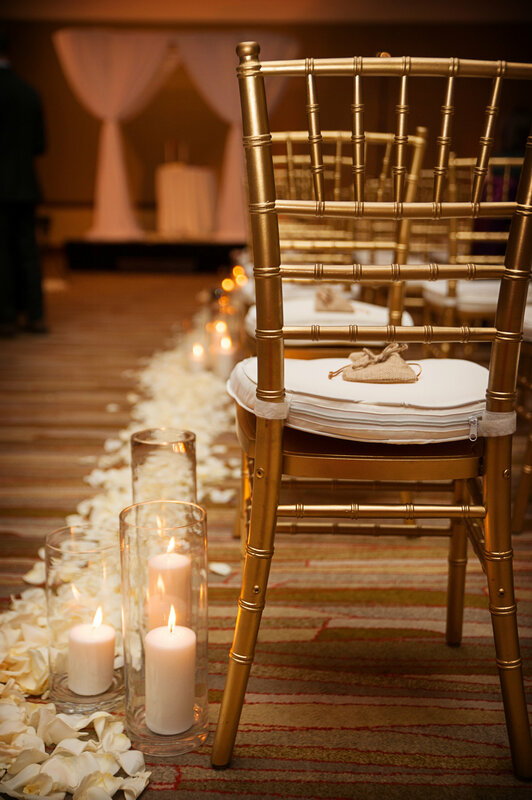 A wide border of ivory petals lined the ceremony aisle dotted with candle trios captured in glass at the iHotel. 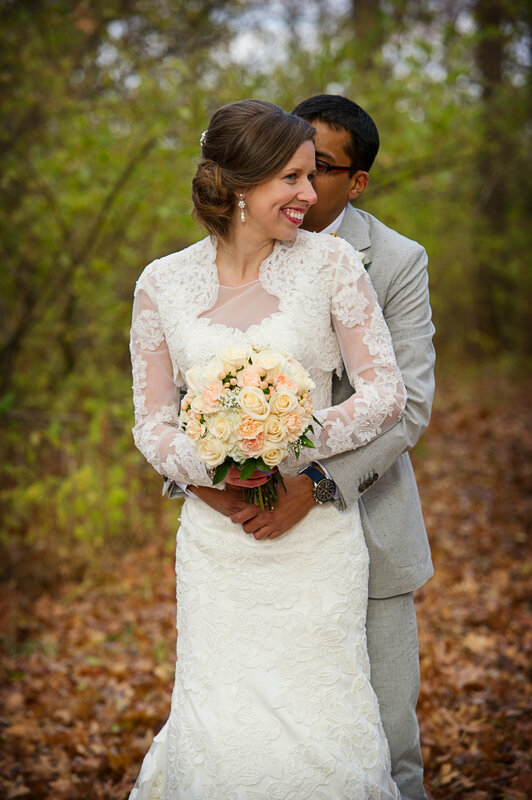 Thank you to this sweet couple for selecting us to be your wedding florist. 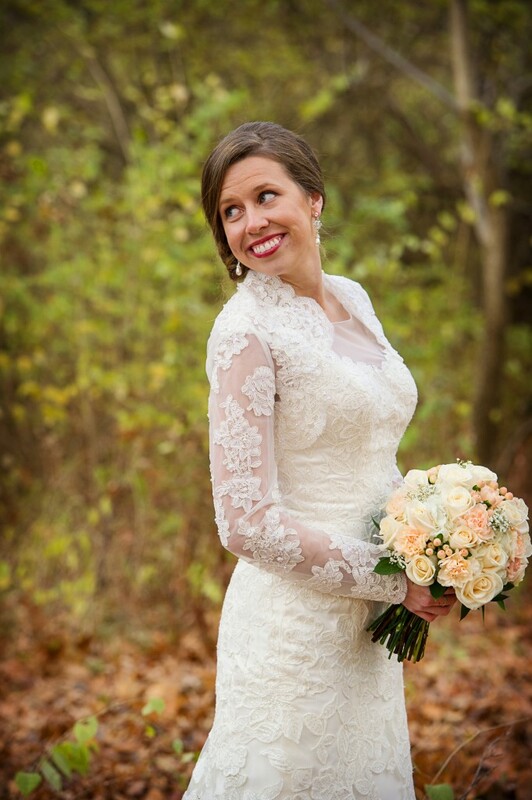 These beautiful photographs were captured by Kara of Kara Kamienski Photography. To see more of her stunning images on her blog. Thank you Kara for sharing your talent with us! We look forward to working with you again.